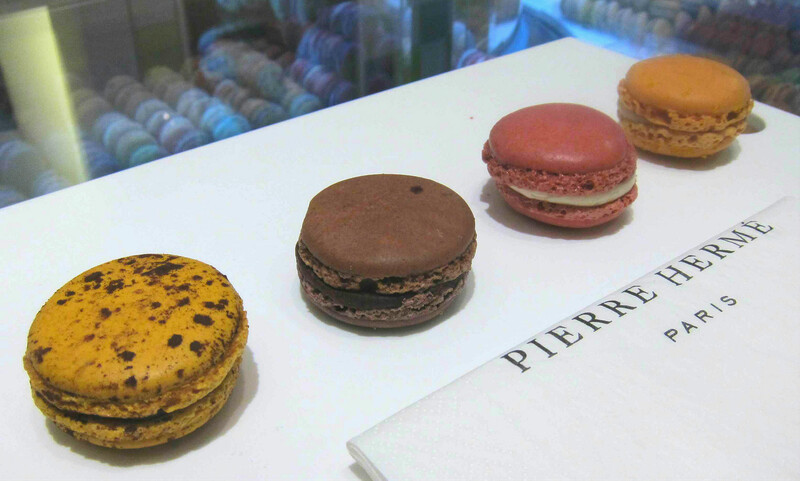 Pierre Hermé Macarons are legendary. 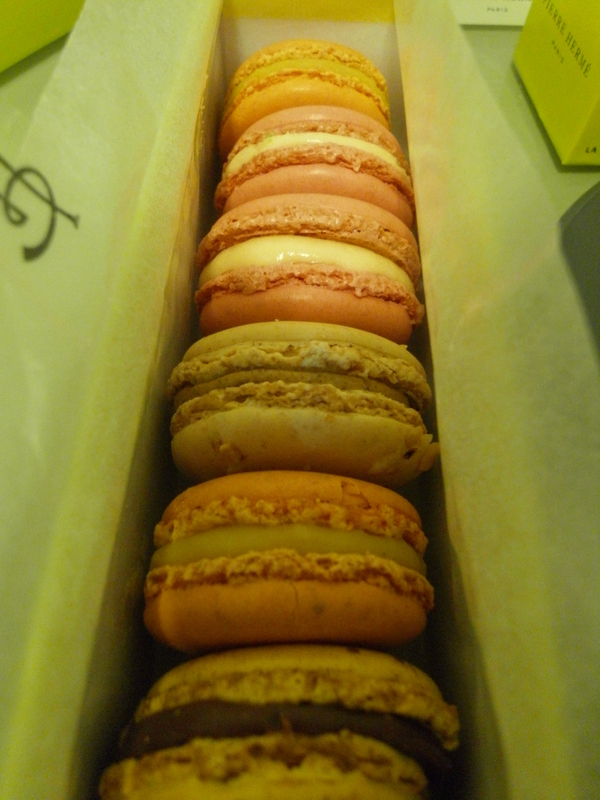 Exquisitely beautiful, not just to look at, but also to savour, so I was naturally DELIGHTED when my parents brought 2 boxes of assorted Macarons all the way from London! My favourites? 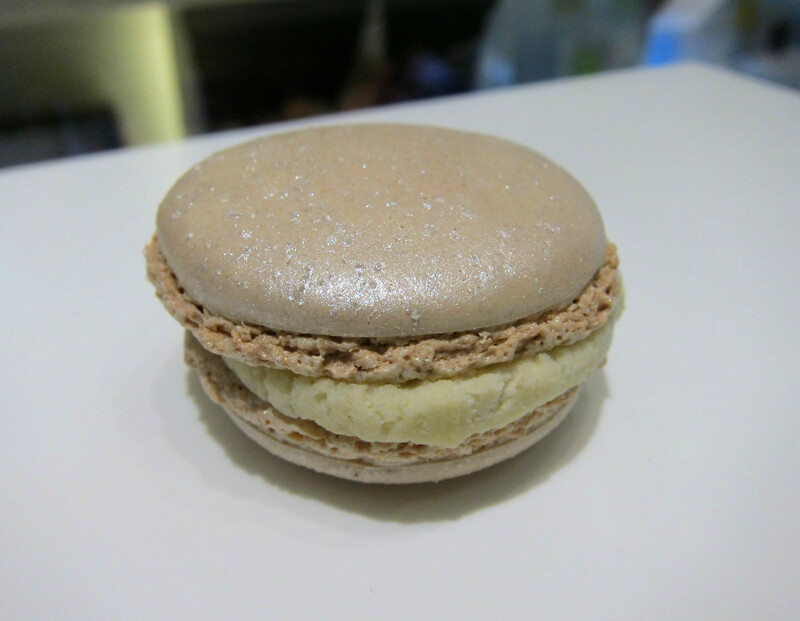 The gorgeous, nutty ‘Pietra’- a Hazelnut Praline macaron, the ‘Mogador’- milk chocolate and passion fruit (delicate infusion of passion fruit bursting through the chocolate) and of course, the Rose- Rose and Rose petal delicately combined to give the sweetest of tastes. 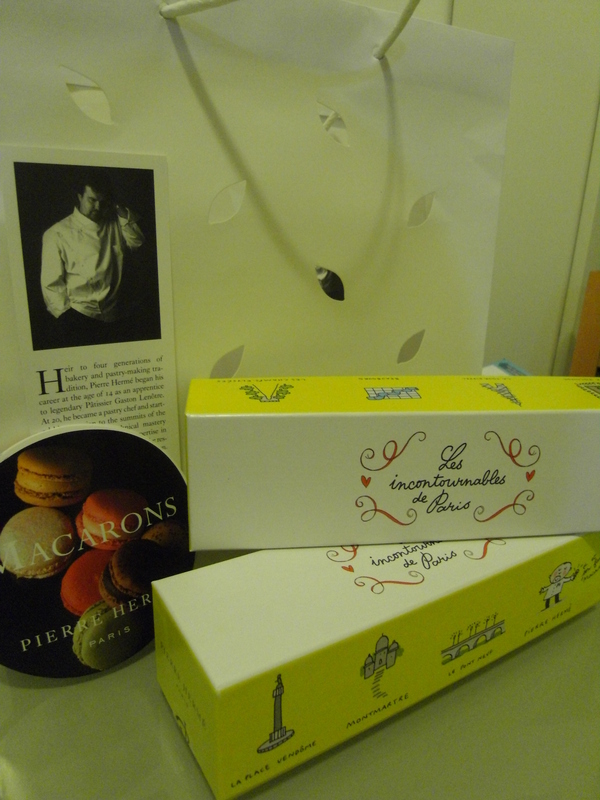 I can’t agree more that Pierre Hermé created these delights with “pleasure as his only guide”. 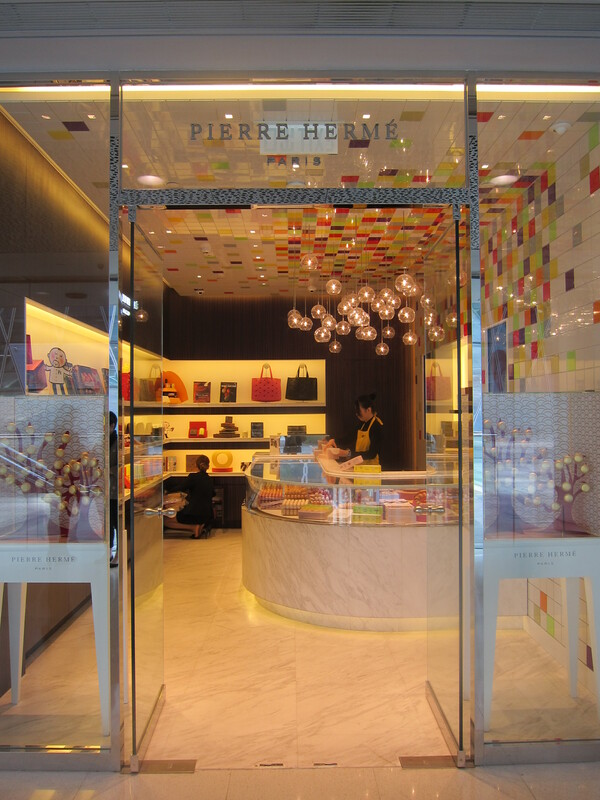 Categories: Sweet things | Tags: green tea macarons, macaron, Pierre Hermé, Pierre Hermé London, Pierre Hermé Paris, rose petal macarons, Selfridges | Permalink. A very quick note to say that I have discovered the best “Pockys” in the world. It’s not the Pocky brand but it’s the same biscuit stick concept. Japanese brand Lotte makes their own version called Toppo and I have just gotten myself hooked on their Creme Brulee sticks. Seriously,it’s a dessert in a stick,what more could you ask for- it’s not messy and you can carry it in your bag to satiate your sweet cravings. Get down to your nearest 7-Eleven now! Categories: Sweet things | Tags: 7-Eleven, Creme Brulee, Hong Kong, Japanese snacks, Lotto Toppo, Pocky | Permalink. Hong Kong is a constant wonder to me with all its hidden eateries, bakeries, markets, cha chan tengs, dai pai dongs etc so I wasn’t surprised to discover the existence of yet another foodie slice of heaven. I have a savoury tooth so usually when confronted with a bar of chocolate, I will politely break off a section and that is that. But, if it’s a pack of shortbread or all butter biscuits, then there’s no stopping the secret cookie monster lurking inside ( I even have a T-shirt to prove it), especially if there’s a cup of tea in front of me for dunking. 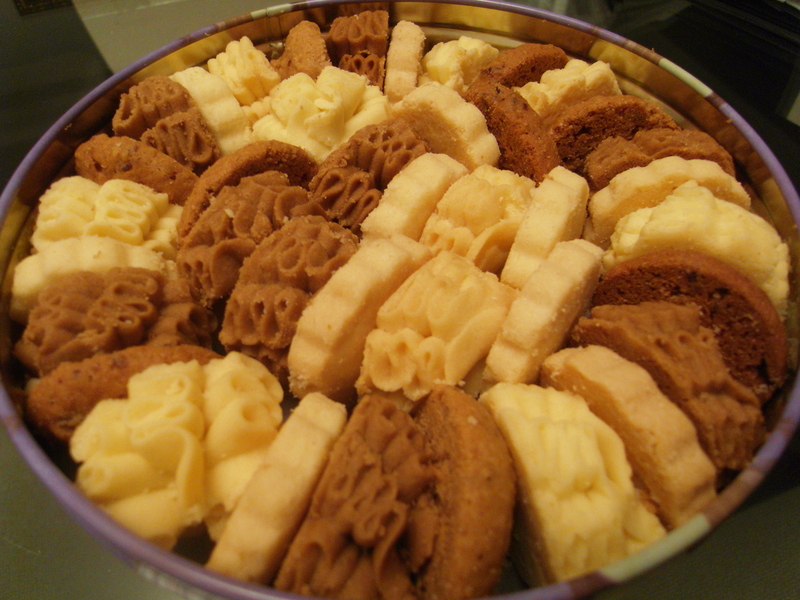 I was very intrigued when my friend brought me a hefty tin of biscuits from Jenny Bakery. At first, I thought these were just your ordinary, run of the mill biscuits. 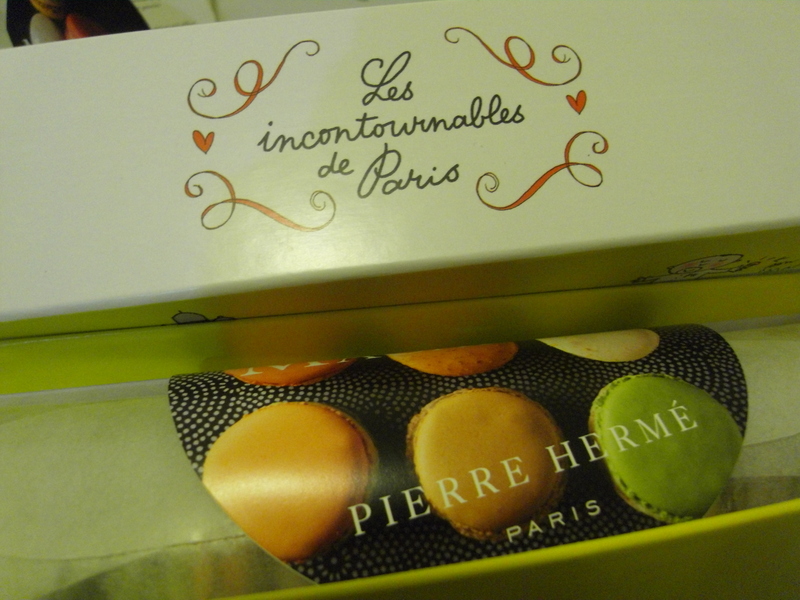 It had a cute picture of a teddy bear on the front, dressed in pyjamas with a night cap on and I thought, ok, I like biscuits, but I won’t be scoffing my face, I will share with friends and colleagues. 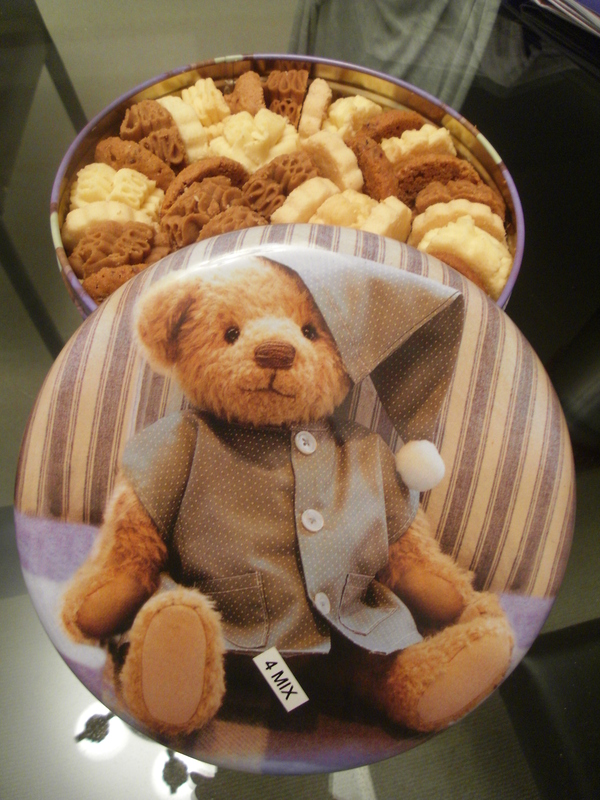 Oh how wrong I was- behold, the most delectable, scrumptious, yummy tin of biscuits you will ever come across. I swear these are the best all butter cookies you will find, even better than Fortnum and Mason’s all butter variety biscuits I think! My friend assured me “These cookies are the best” and she ain’t wrong. The tin I received was the 4 mix variety, but I’ve been told that if you go to their bakery (there are several branches, details below), that you can choose your mix except in peak times- Christmas, New Year etc. Through research (having not been to the bakery myself yet), I have discovered that all the cookies and cakes Jenny Bakery sells are home-made and fresh and only come in tins. 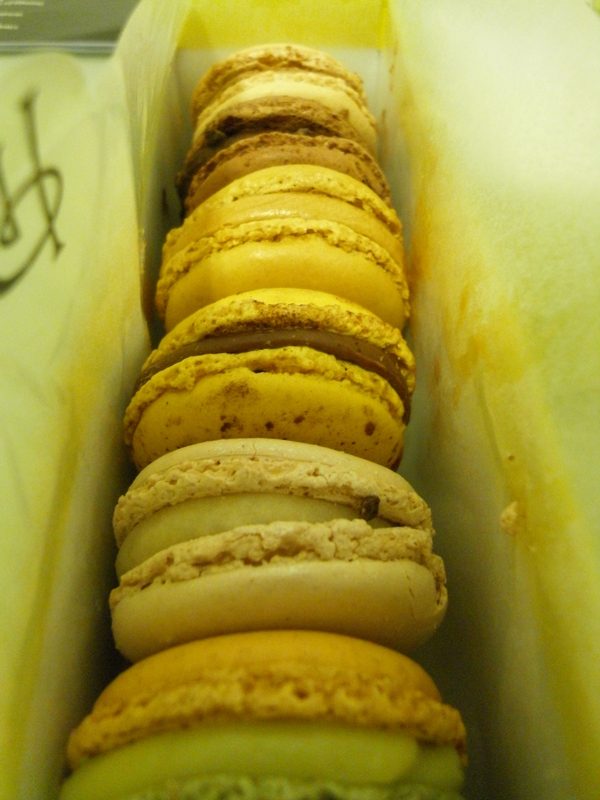 Their specialty is the all butter cookie which is verrrrrryyyyy dangerous for me. 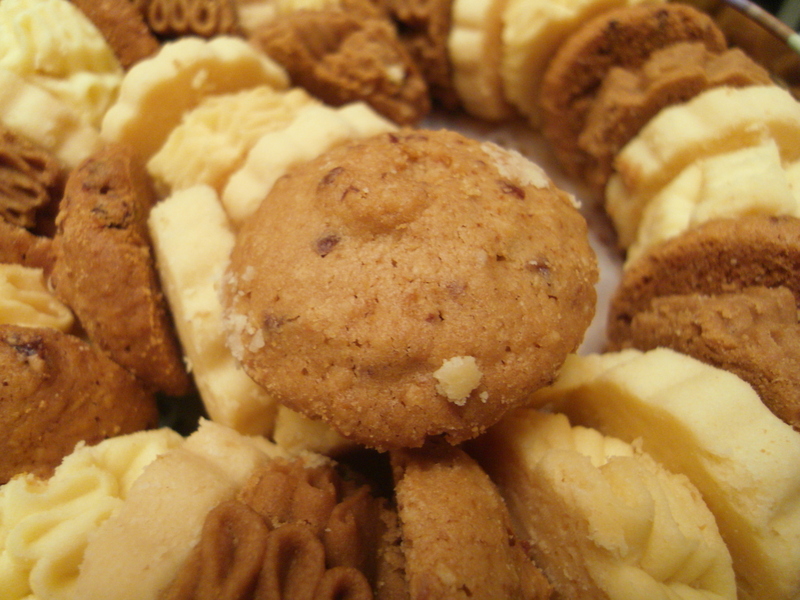 Now, on closer inspection and tasting of the “4 mix”, I can definitely say that the best 2 were the all butter and the coffee flavoured butter cookies. 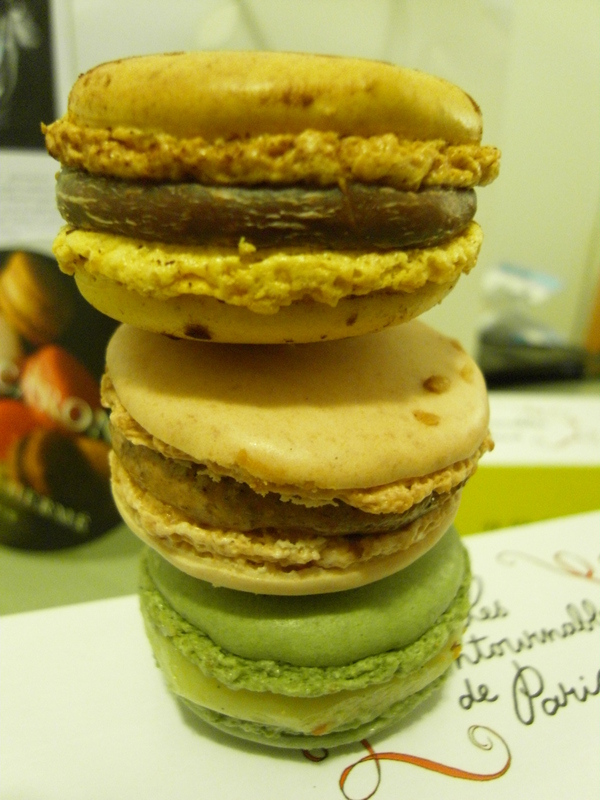 OMG, such crumbly, soft, buttery, melt in your mouth parcels of joy. They are small, so you can just pop them in your mouth- again, very dangerous. If you’re not a coffee lover- you are missing out! I love the way they make these 2 cookies, lots of gentle folds in the shape, pleasing to the eye. 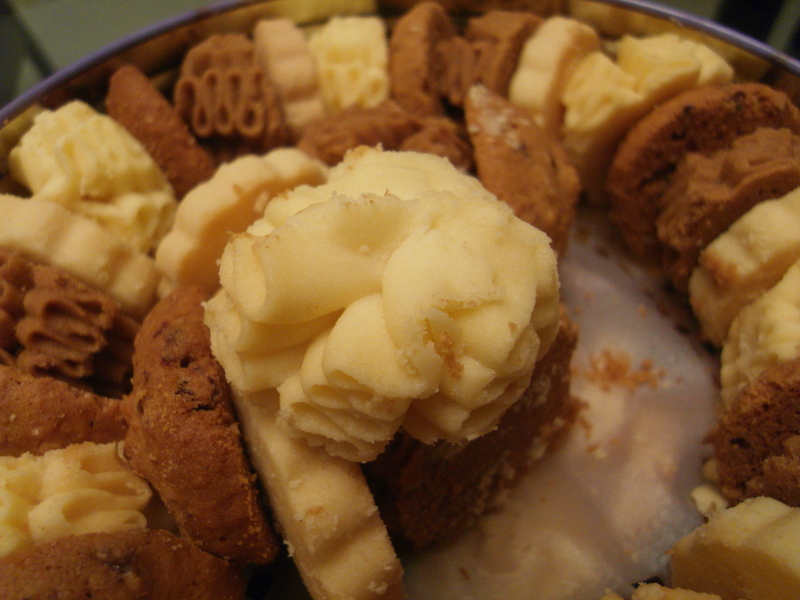 The shortbread and the raisin cookies, however, were less moreish. The raisin cookie was just normal, and a bit dry. 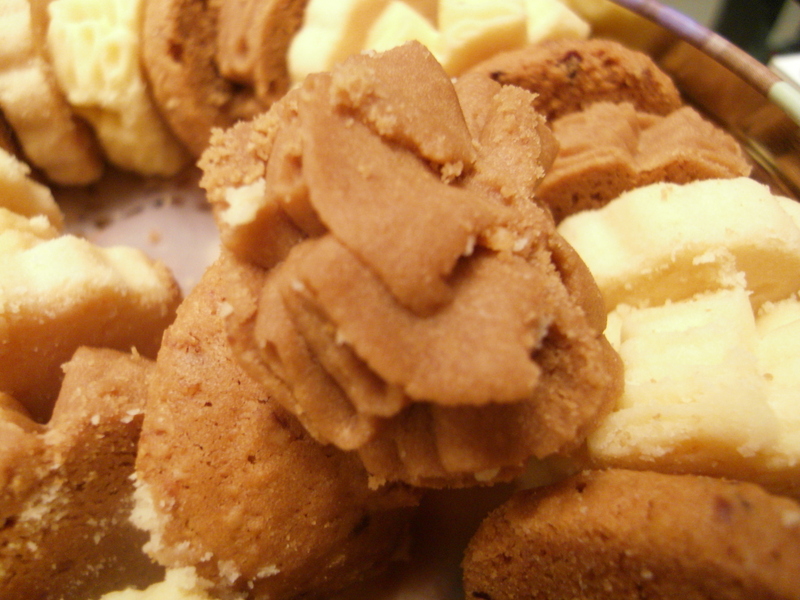 The shortbread cookie, although good, was not as outstanding as its all butter counterparts. 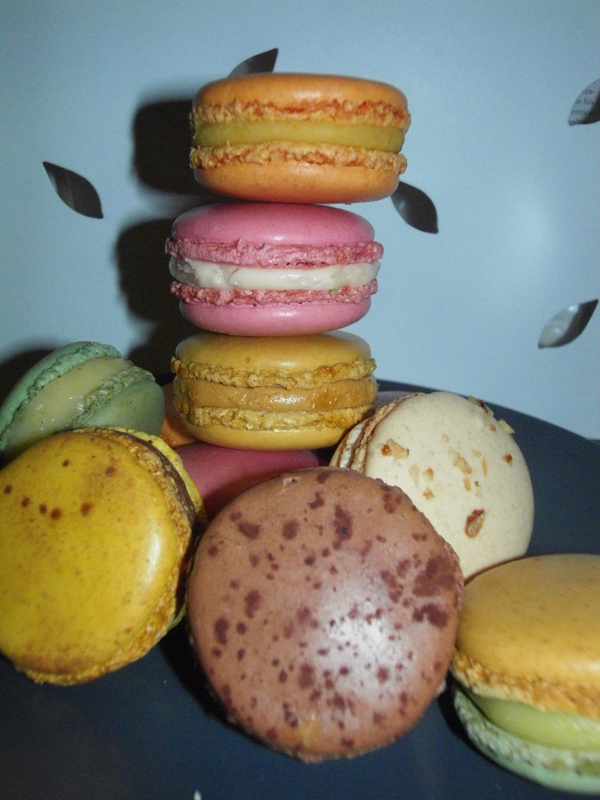 Prices are $6o for small and $93 for large tins of 4 mix varieties. For the 8 mix, the prices are $88 and $140 respectively. Jenny Bakery also makes pineapple rolls which I can’t wait to try! 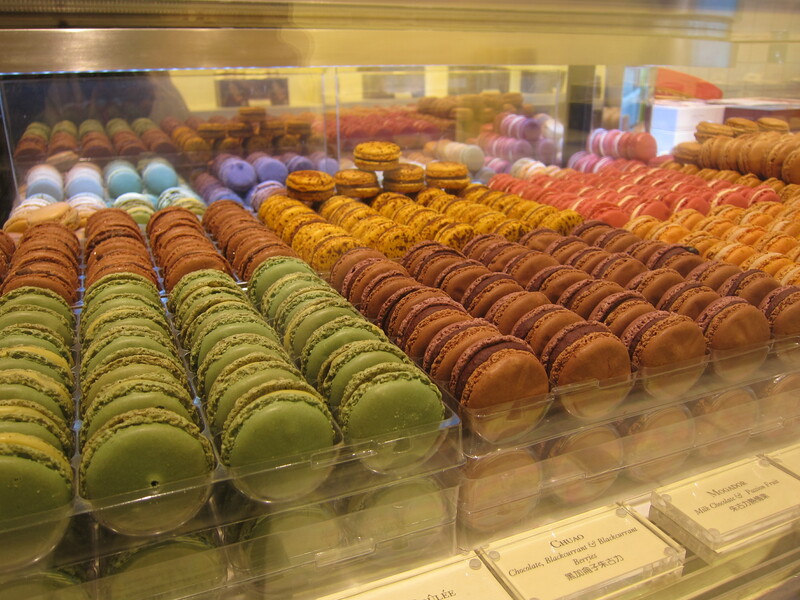 Categories: Sweet things | Tags: butter cookie, Causeway Bay, Central, coffee flavoured cookie, home-made cakes, home-made cookies, Hong Kong, Jenny Bakery Hong Kong, Stanley, Tsim Sha Tsui, Yau Ma Tei | Permalink.